Cabbage Shrimp Stir Fry is a side that I make with Rice/Roti especially when I have less cabbage which I wanted finish off but is not really enough to make a stand alone sabzi/side dish. Of course I do use cabbage with mix veggies with lot of variation but this is my family's favorite. This is really a very ezee recipe hardly takes 10 mins cooking time. 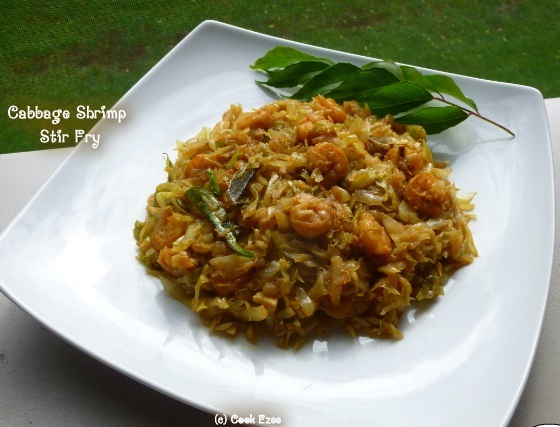 Cabbage and Shrimp is such a wonderful combination, I bet you cannot resist eating it. Try it out friends, Enjoy!!! Chop the Cabbage, wash it in flowing water in a colander and set aside to drain the water completely. Clean the shrimp, marinate with turmeric powder, chilly powder and salt and set aside. Heat up a kadai/pan, pour oil, add onion, ginger, green chilly, curry leaves and saute well till onion is translucent. Add the Shrimp and Garam masala and stir well to mix. 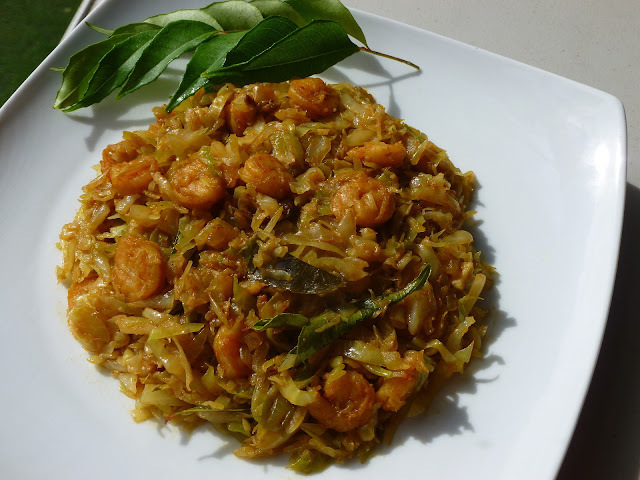 Open the lid and add the chopped cabbage and keep stirring for few minutes until cabbage become crunchy, leaves the raw smell and blend well with shrimp masala. Add more curry leaves if desired. Move to a serving dish. 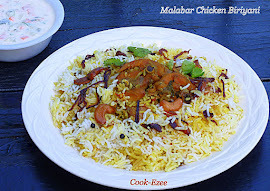 Serve warm with Roti/Rice/Naan or anthing of your choice. Enjoy!!! 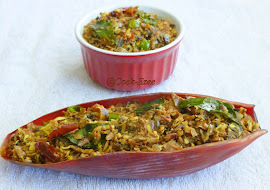 Never tried this combo..Lovely dish. Delicious n yummy shrimp with cabbage,superb!! Oh! Yumm Cabbage and Prawns Stir-Fry Dear.Luv it.An award is waiting for U at my space.Come and grab it Dear. Fascinating combo. Should try it. I have an award for you at my place. Do collect it. you have an award at my space,please collect it dear.. Thank you for this recipe. We tried it today... and it was awesome.